When Ellen, the matriarch of the Graham family, passes away, her daughter’s family begins to unravel cryptic and increasingly terrifying secrets about their ancestry. The more they discover, the more they find themselves trying to outrun the sinister fate they seem to have inherited. Making his phenomenal feature debut, writer-director Ari Aster unleashes a nightmare vision of a domestic breakdown that exhibits the craft and precision of a nascent auteur, transforming a familial tragedy into something ominous and deeply disquieting. 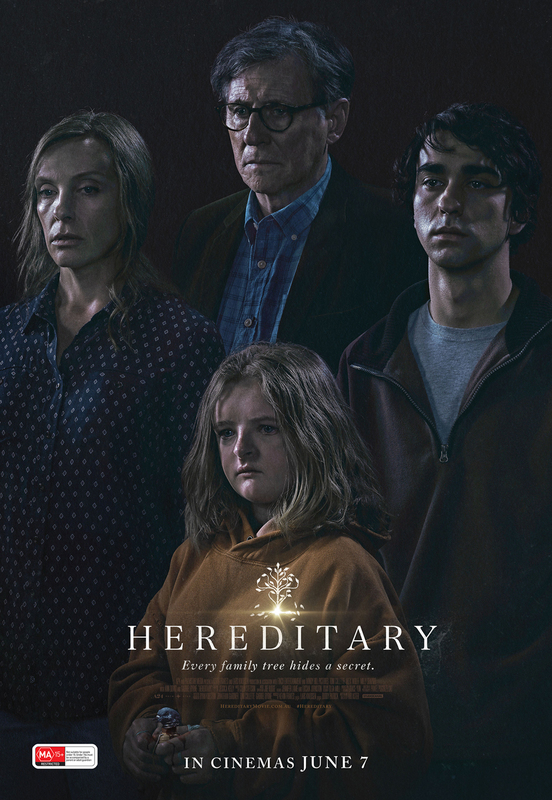 Hereditary pushes the horror movie into chilling new terrain with its shattering portrait of heritage gone to hell. Check out the creepy AF trailer here. Creeping into cinemas June 7, this game-changing horror masterpiece stars Academy Award® nominee Toni Collette, Golden-Globe® winner Gabriel Byrne and Alex Wolff. Thanks to the good folk at StudioCanal, we have ten in-season double passes to giveaway. For your chance to win, write to allan@bmamag.com with your name and mailing address and tell him (me) about one of your favourite horror film moments.